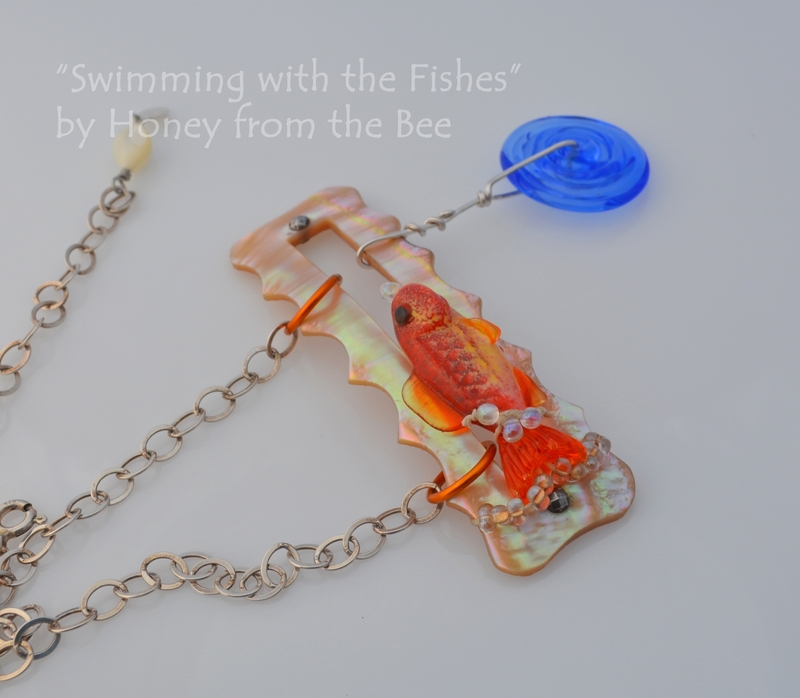 An unusual vintage mother-of-pearl belt buckle and an exquisite lampworked goldfish by French glassmaker Glasting found each other in this whimsical necklace that will bring a smile to everyone you meet. The mother-of-pearl buckle is one I've had in my stash for a very long time. I loved it so much and knew that only a unique creation would do it honor. I think I found it in this precious goldfish swimming between the waves. It brings back memories of tossing ping-pong balls into the top of a goldfish bowl at the county fair. Winning a live goldfish in that beautiful round bowl was a highlight in grade school. A Blue Seraphim disc seemed just the right accent with it's watery ring swirl. I've created a sterling silver wire bail for it, too. 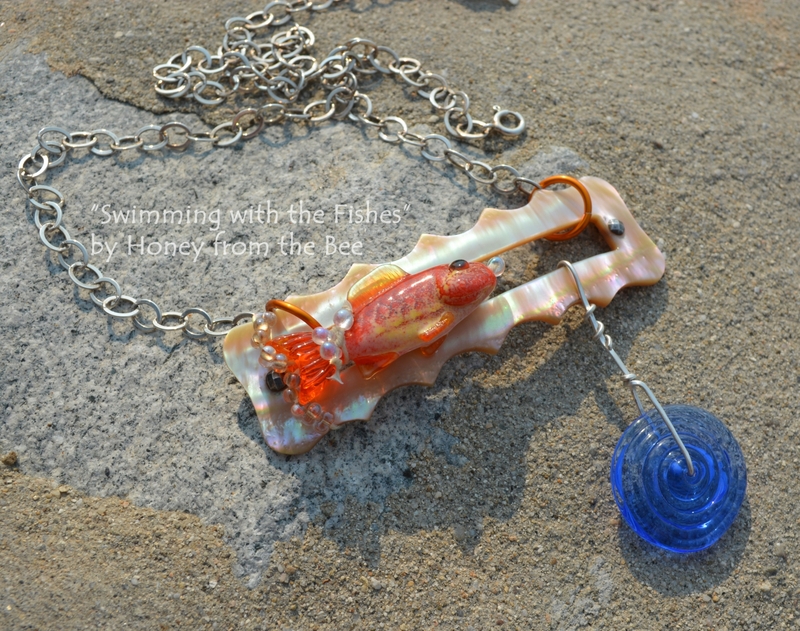 Fun iridescent glass drops bubble around the fish. I used Irish waxed linen to attach the fish to the buckle. Anodized aluminum rings in a golden orange attach the pendant focal to the Sterling Silver chain. 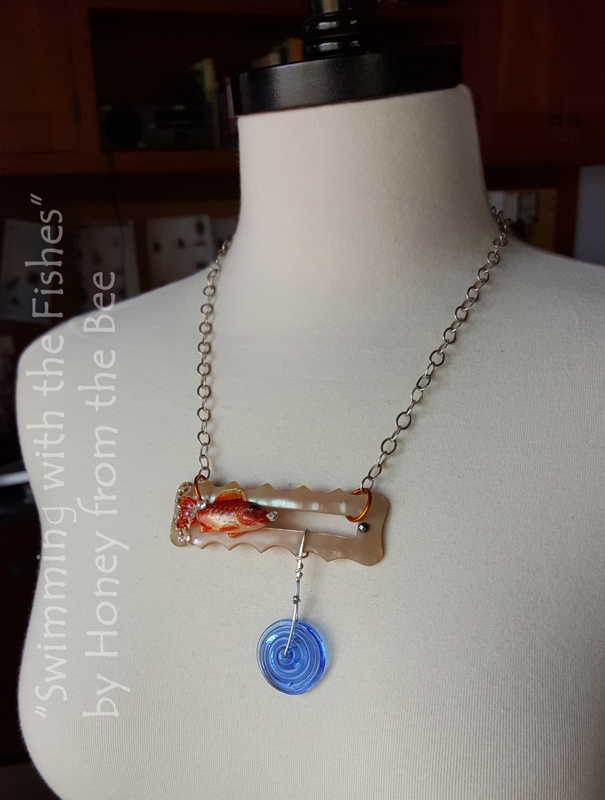 Pendant is 3.5 inches wide and about 3 inches tall from the top of the buckle to the bottom of the blue disc. 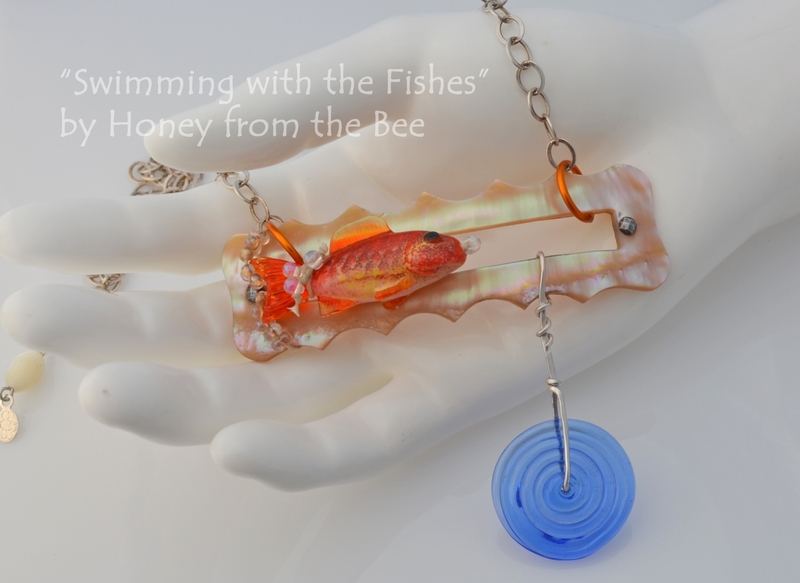 Whimsical Jewelry for the Adventurous Woman!